Collectively, these sites have dedicated themselves to battling ‘Cultural Marxism’, which in the case of ‘The XYZ’ finds its chief expression in ‘The ABC’. Of course, along with ‘The ABC’, ‘The XYZ’ regularly denounces The ALP, The Feminists, The Greens, The Leftists, The Muslims, The Queers, The Unions, ‘multiculturalism’, ‘political correctness’ and sundry other un-Australian forces. As such, it’s not unlike one of Uncle Rupert’s tabloids, and its ideological obsessions are typical of the Tory yoof who appear to be its chief market. Recently, however, the blog (‘online newspaper’) has been becoming increasingly batshit, seemingly under the influence of the US Alt-Right and following the triumph of God Emperor Trump. Above : David Hiscox. ‘When I am not worrying about the fate of Western civilisation, I play the piano’ (‘Felix Mendelssohn and Germany’s proud Christmas heritage’, December 20, 2016). ‘The XYZ’ is the bRaneschild of David Hiscox, a local musician and music teacher. 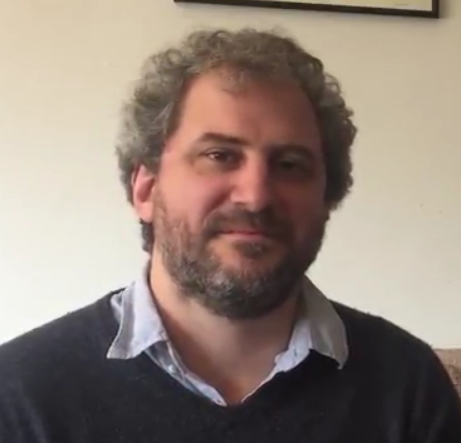 As editor, David is the most frequent contributor to the site, publishing around a third of its output, followed by Ryan Fletcher. (David Hilton, previously known as ‘Moses Apostaticus’, is another contributor.) 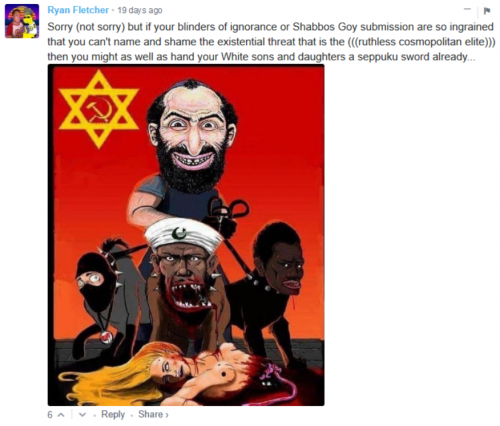 Whether or not Ryan has pulled one too many cones, or perhaps simply received one too many knocks to the head, over the course of the last year or so he’s become increasingly open in his espousal of anti-Semitism and White nationalism. Further, the content on the site more generally has increasingly adopted more frank expressions of commitment to the AltRight than was present when David first began publishing it. 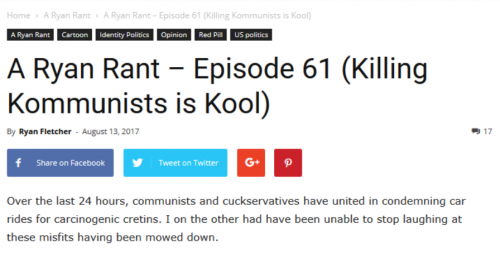 Previously content to describe itself as a ‘classical liberal’ platform committed to celebrating ‘free speech’, ‘free markets’ and ‘Western Civilisation’, the site has recently extended its mission to the defence of ‘cultural libertarianism’ from ‘cultural authoritarians’: ‘We also stand in opposition to cultural Marxism, which seeks to bring about socialism by attacking political, cultural, social, and religious norms and institutions – dismantling our national identity and the foundations of Western civilisation’. Shortly after launching its crusade in mid-2015, ‘The XYZ’ had also joined the fight against Islam which, like Cultural Marxism, allegedly poses an ‘existential threat’ to ‘Western Civilisation’. Still, in fairness to David, the laissez-faire comments policy which allowed for racist and anti-Semitic creeps to infest the site has recently been ended. 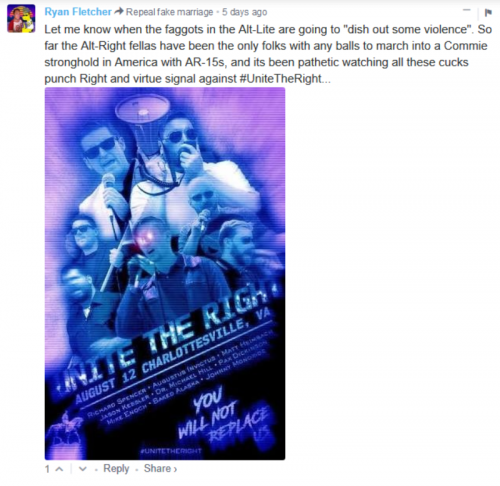 Not because of the grotesque racism and misogyny, of course, but because two keyboard warriors were sniping at one another: ‘The line for me came when I saw two contributors engaged in what had degenerated from rugged debate into open civil war’ (‘A few comments on comments’, February 4, 2018). * Other sites/groups/projects include ‘The Australian Traditional Nationalist’, ‘The Convict Report/The Dingoes’, ‘The Lads Society’, ‘The Unhinged’, ‘Zero Filter’ and ‘Proud Boys Australia’. See also : Keyboard warriors of the alt-right have Australia in their sights, Daniel Flitton, The Sydney Morning Herald, November 26, 2016.